Select from a list of CSS3 properties, fill in a few parameters to fit your needs, and it spits out the generated code along with a live preview. CSS3 Please! 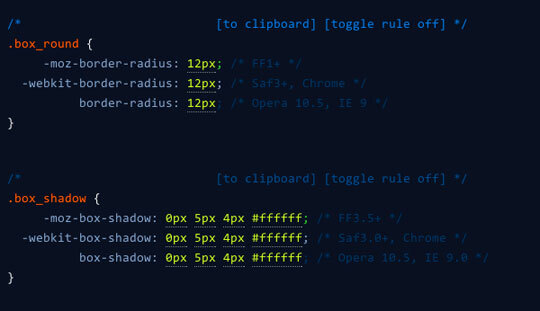 is a CSS3 rule generator that acts as a sort of playground. It allows you make various CSS3 tweaks and see a live preview. Then you can copy and paste into your own file. 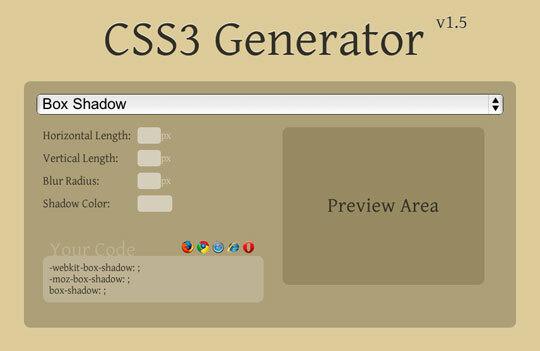 The CSS3 Gradient Generator was created as a showcase of the power of CSS based gradients as well as a tool for developers and designers to generate a gradient in CSS. CSS3 Transforms gives you a set of sliders to experiment with various transforms such as position, rotation, skew and more. It also generates the corresponding code on the fly. The CSS3 Button Maker gives you a number of sliders and color pickers to style your own CSS3 button. Then you can grab the code to use in your own project.